THE HOUSES OF THE Oireachtas Commission has said that is not possible to estimate the amount of net actual savings that would arise if the Seanad was abolished. There has been considerable controversy in recent weeks about the actual cost of the Seanad and how much abolishing it would save amid claims it could be as much as €20 million a year or €100 million over five years. The Referendum Commission has said it would be useful for the Oireachtas to state how much would be saved but in a statement to TheJournal.ie Leinster House authorities insisted it is not possible to estimate the net actual savings that would arise from abolition. Fine Gael has used its posters and campaign literature to state that €20 million per year would be saved from abolition, based on direct and indirect costs. Its campaign website asks users ‘where would you invest an extra €100 million in Ireland?’. However those against abolition claim that the cost of the Seanad is much less than €20 million with former Tánaiste and Democracy Matters campaigner Michael McDowell saying the Seanad costs €1.60 per person per year. The Oireachtas said in a statement that the total running costs are estimated “in the region of €20 million per annum” this was based on an estimate, based on its 2012 outturn. 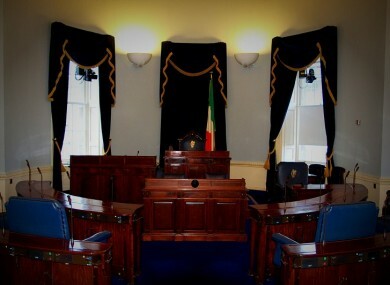 The breakdown of the cost of the Seanad compiled by the Oireachtas – and included in Fine Gael literature – includes direct costs such as salaries, expenses and staff totaling €8.8 million and indirect costs such as ICT, procedural sections and other support sections totaling €9.3 million. It also includes €2 million in pensions. A spokesperson for the Referendum Commission said that details about the cost and estimated savings that would arise from the Seanad being abolished would be “useful information for the public to have in the context of the referendum”. The Commission’s secretary, David Waddell, wrote to the finance officer in the Oireachtas Commission earlier this month to ask for such information to be released but it appears that an exact estimated saving is not possible to calculate at this time. An analysis of the cost of the Seanad by this website in January of this year found that a total of €8.4 million would be saved from abolition but this excluded the issue of pensions. Abolishing the Seanad would not affect the pensions and severance of current members and such costs would be brought forward in the wake of the upper house being scrapped. In a debate in London last week, Fine Gael TD John-Paul Phelan was quoted by the Irish Times last week as saying that the €20 million figure was one of “a number of erroneous arguments” made by both sides of during the campaign. Fianna Fáil has called on the Carlow-Kilkenny TD to withdraw posters in his constituency stating the €20 million saving in light of his comments. Phelan declined to comment. Email “Oireachtas: It's not possible to estimate how much abolishing Seanad would save”. Feedback on “Oireachtas: It's not possible to estimate how much abolishing Seanad would save”.